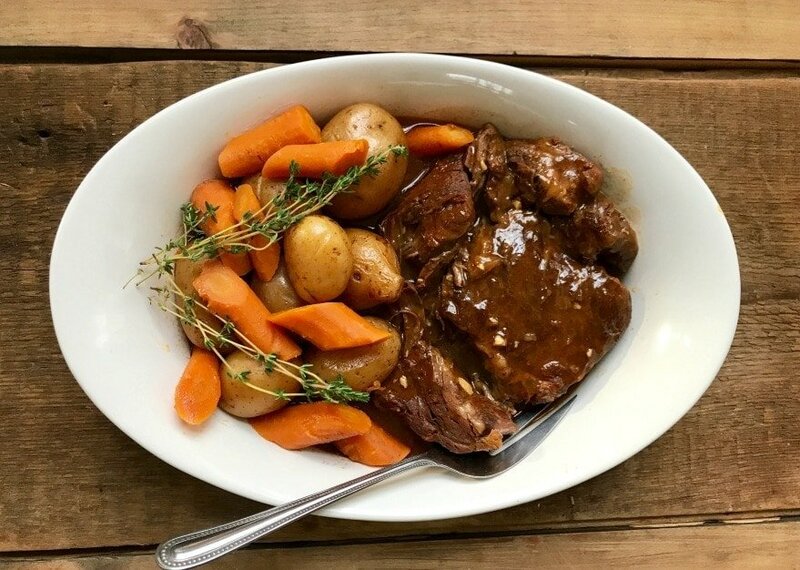 This Instant Pot Beef Pot Roast cooks in record time, making it perfect for a weeknight dinner or a stress free special occasion! This post contains affiliate links for products for products I’m obsessed with. My love for the Instant Pot has hit an all time high with this dinner. 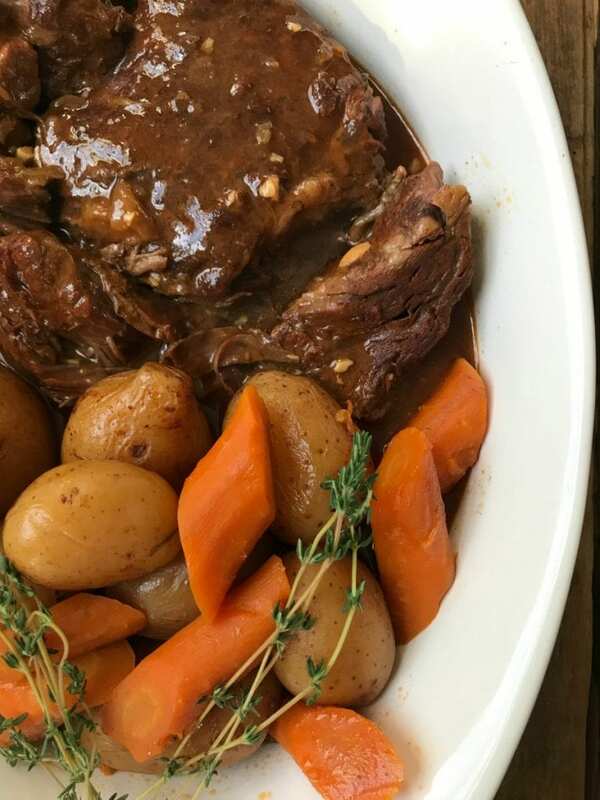 I mean…we ate this oh so delicious Sunday dinner style Pot Roast on a Wednesday night recently. And a damn busy one, too. 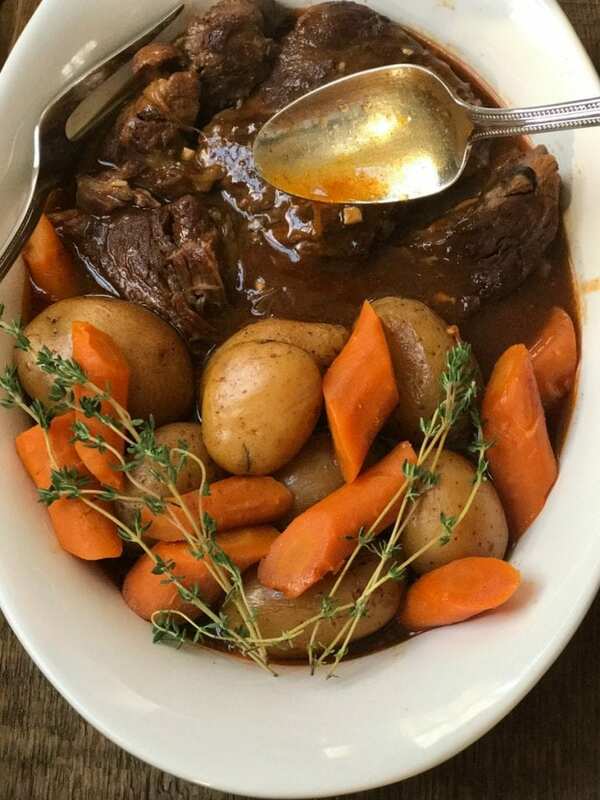 And while I wouldn’t say this is the quickest Instant Pot meal ever, it certainly was the quickest Pot Roast I ever made and I was able to walk away from my pot, hang with the kids, help with homework, get basketball clothes ready, make lunches and do all the after school things while this meal was cooking. I used my 8 quart for this one, but it would easily fit into the 6. And I started by giving my Chuck Roast a good sear on both sides. Then I threw in some roughly chopped onions and minced garlic. Then added my meat back in along with some beef broth and tomato paste. You can also use some gluten free Worcestershire sauce or coconut aminos in there, but I have done it with and without and love it the same. 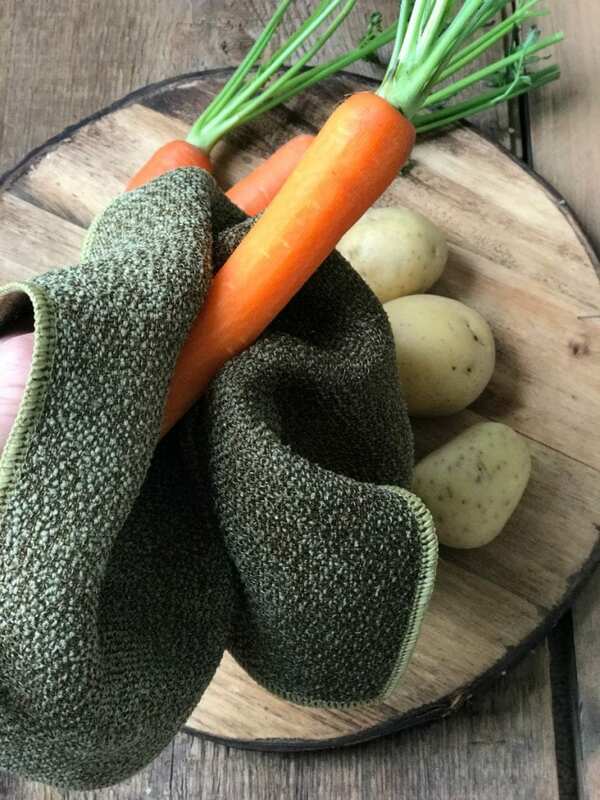 Next I washed up some carrots and baby potatoes using my Norwex fruit and veggie cloth. Baby potatoes with the skin still on work perfectly for this recipe. You don’t need to cut or peel them and they are super tender, but not mushy because the skins keeps everything in tact. Just throw them right in! Your carrots will be on the softer side, so you want to be sure to cut them thick. No baby carrots for this recipe! And if this is a dealbreaker, you could easily make them in your microwave or roast them separately. 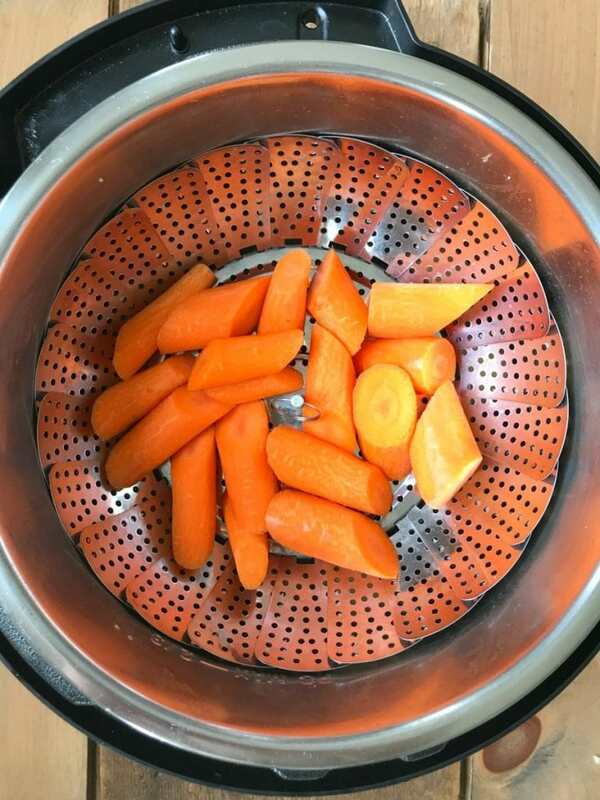 I also used this awesome Steamer Basket because I didn’t want the carrots to get lost in the gravy. I got mine on amazon and it came with two different size baskets. I use them all the time for veggies! That’s all you have to do to prep the roast. Now just lock the lid, set it for 60 minutes, and let it sit for a natural release. My reward after cooktime? You all know I love to make a quick gravy in the IP. I just can’t help myself with this saute setting, you know? So I thickened my cooking stock with some arrowroot. Best part? I only had one pot to clean after my daughter’s basketball game. Such a dude pleasing meal, too. My husband was in love. I certainly know the way to that man’s heart. 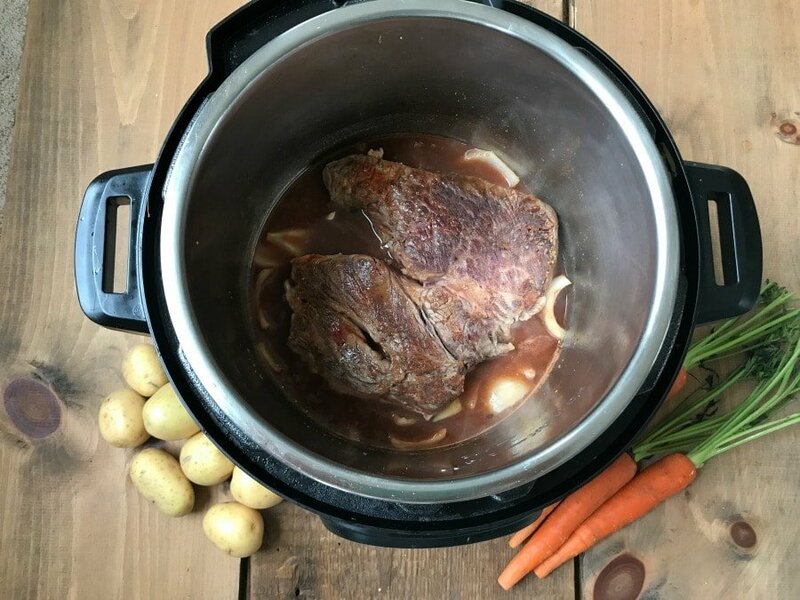 Going to try this Instant Pot Beef Roast? Let me know what you think! I love it when you guys tag me on social with your creations! 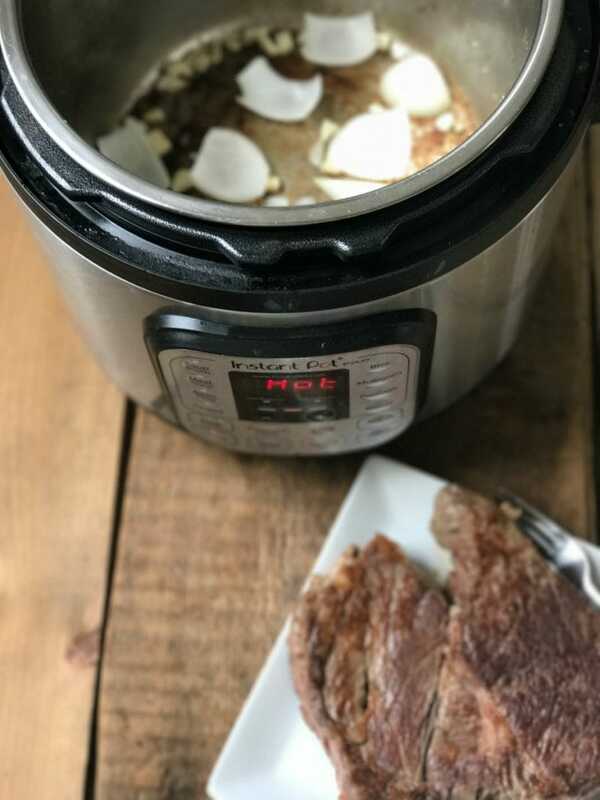 This Instant Pot Beef Pot Roast cooks in record time, making it perfect for a weeknight dinner or a stress free special occasion! Trim all fat from chuck roast steak, then sprinkle salt on each side. Set IP to sauté and and wait until the screen reads “hot.” Add 2 tsp of the olive oil and sear meat on both sides. Remove roast from pot. Add remaining 2 tsp olive oil to pot and add onions and garlic. Saute for a few minutes until fragrant, then deglaze with broth, tomato paste, and Worcestershire sauce, if using, and stir well. Get all those brown bits up from the bottom of the pot to flavor your meat and veggies and make a killer gravy! Add roast back to pot, along with potatoes. 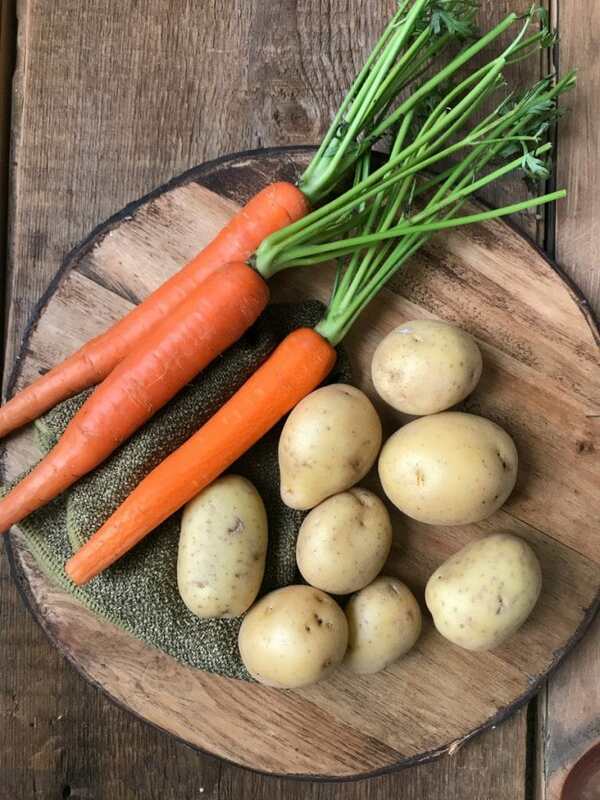 Place carrots in a steamer basket on top of meat and potatoes. Lock lid and set for 60 minutes. After cook time, do a natural release. It took my pot about 15 minutes to release all the pressure. If you are hangry or impatient, you could switch it over to quick release anytime after this point and you will be good. Remove roast and veggies after cook time. Enjoy as is or make a quick gravy by removing 1/2 cup of the stock and mixing with 1 T of your thickener. Add this slurry back to the IP and place pot on sauté. Simmer until the gravy thickens to your liking, stirring frequently. Fixers – use your containers to measure your portions. Enjoy! I could have eaten this whole thing myself and toddled away from the table blissfully happy. Unfortunately there’s the pesky thing called portion control. Grrrr. 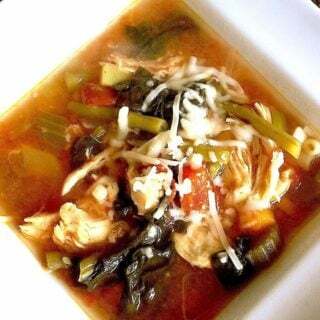 Absolutely wonderful recipe – thank you! When you say set time for 60 mins do you mean pressure cook time or stew/meat? I use the manual/pressure cook setting! This was amazing, cooked it tonight and it was a huge hit! 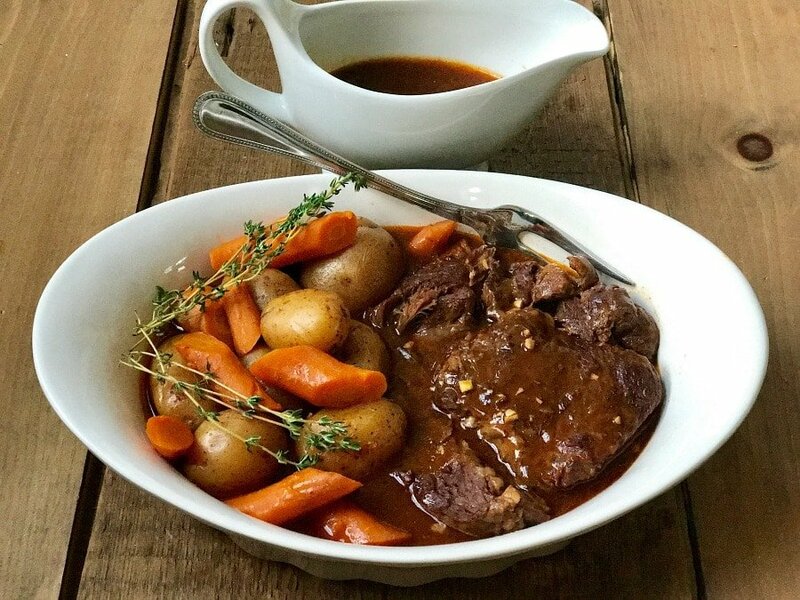 If chuck roast is not available, what can you use? I would ask the butcher! 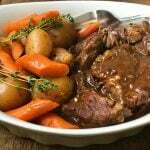 Stew meat is really good – but I haven’t experimented with too many other types in the IP. This was a hit! 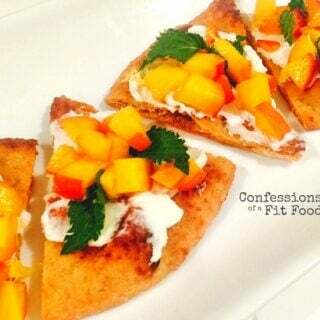 My both my husband and picky-eater kiddos loved it! Thanks for such great directions, too. This was my first meal in my new instant pot and it was super easy, even for a not so great cook, like myself. Yay!! This makes me really happy!! If I do not have a steamer basket, is that ok? Yes! You could also use your trivet or just throw everything together! When doing it in the crockpot should I still follow what you did or just throw everything in there? It’s fine to throw everything in there, but if you have the time, searing it first would be delish! Excited to try this!! what is the serving size for the 21day fix container count suggested? says use your containers to measure your portion, so are you measuring the meat out of the stew and so one to get the container count? or is it 1 cup of stew? Hi! Yes – use your red to measure the meat, then divide the veggies and potatoes into 6 servings. 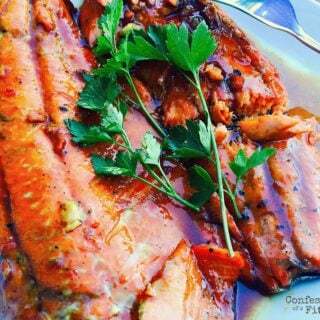 Can you cook this with frozen meat? If so for how long? It should be the same amount of time! Hi! 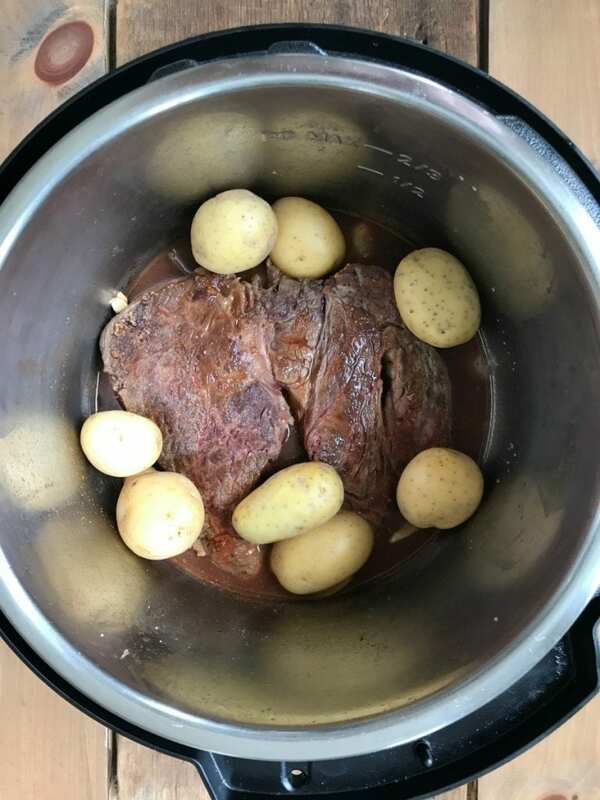 If I do this in a slow cooker, do I need to sear the meat or do I just put everything in and cook for 8-10 hours on low? Or what would you recommend? Thanks! Hi! You certainly don’t have to sear it first, and to be honest, I probably wouldn’t because then I would have to wash another dish. BUT, if you do, it will be even yummier at the end! Okay, sounds good. Can’t wait to try this! Thank you! 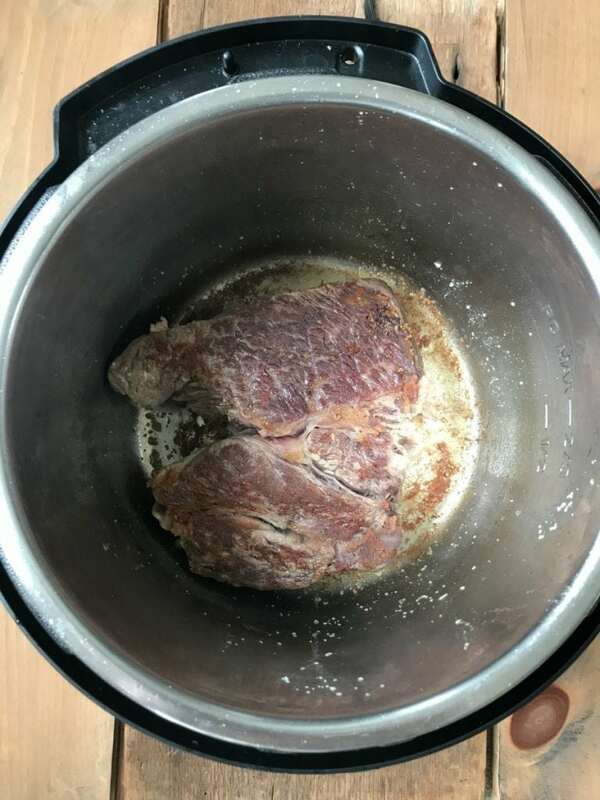 How would you cook this for a Power Pressure cooker XL? Would it be the same 60 minutes? Made this yesterday – started the IP then flying out the door for soccer games, not to return for 6 hours. I guess it did a natural release and then kept warm the rest of the time. It. Was. Delicious. Perfectly cooked, tender meat – mine was mostly frozen when I “seared” it. Still fantastic. My husband commented that using the IP is the only way we should ever cook our Pot Roast from now on. 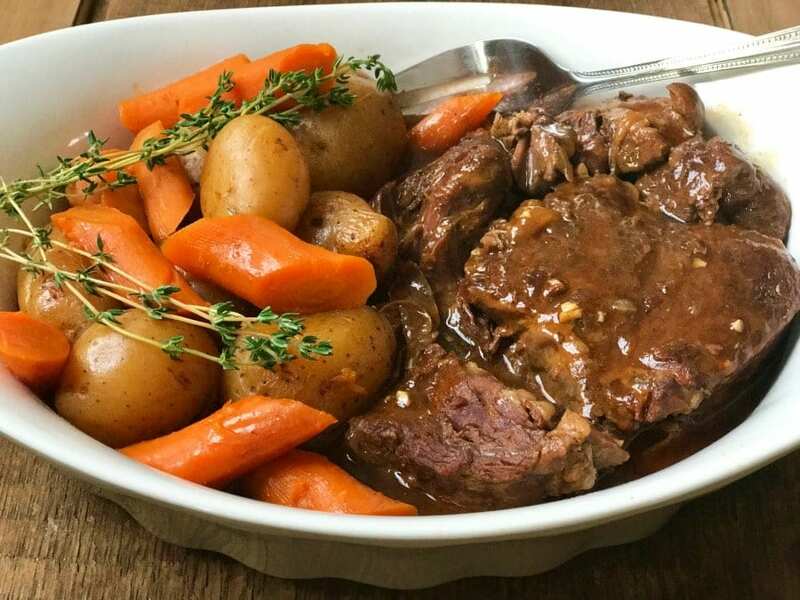 I’m still pretty new using the IP, but wow, what an easy, delicious Pot Roast recipe. THANK YOU! You just made my whole day, Andrea!!! 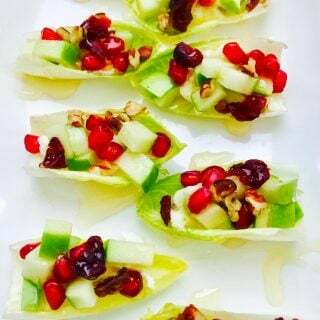 Have u ever tried doubling the recipe? Or 1.5? Unfortunately the store only had a 3+ lb roast. Wondering if I should change any times as well? Thanks! Hi! You can add an extra 15-20 minutes! I think my instant pot might be a different model, but what pressure do you recommend? Low or high? I don’t have a manual option. I’m cooking this tonight! Question, for the 60 minute cook time do you keep on sauté or change to slow cook? This is my first time with an insta pot as well. Hi! You should change it to pressure cook- using the pressure or manual setting!